When it comes to sports, Hyderabad offers the usual array for the ordinary tourist or citizen, mainly golf, tennis, and even horse racing. However, there are only two that have totally captured the city’s attention: cricket and field hockey. The fervor the Hyderabadis have for these two sports is so great that some say it borders to near fanatical levels. Field hockey is pretty much like the more common ice hockey and street hockey except that, as the name suggests, it is played in an open field instead of in the ice or the streets. In India, field hockey is the national game, overseen by the Indian Hockey Federation, the Indian branch of the International Hockey Federation. Hyderabad, not surprisingly, has its own Premiere Hockey League team, the Hyderabad Sultans, and they are said to be of royal lineage. The team won the first Premiere Hockey League tournament held in 2005. Currently, the Sultans have their home in the Gachibowli Hockey Stadium, which also hosted the 2005 Premiere Hockey League tournament. It was built in 70 days just in time for the 2003 SAF games, and is capable of holding 8,000 people. If field hockey is popular, cricket fanaticism is just more; it is indubitably the most popular sport in India right now. 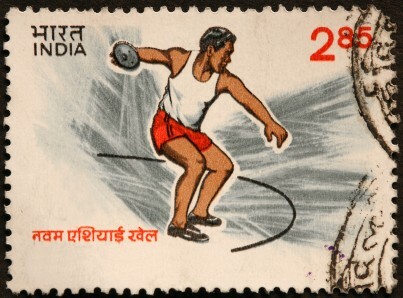 It has become the unofficial national sport of India, with the players sometimes enjoying a demi-god status. The popularity can be primarily attributed to the history of the country and oftentimes, the country’s cultural and political developments can be mirrored with it. The Hyderabad cricket team is part of the Ranji Trophy Elite group, falling in the South Zone and is one of just two teams from the state of Telangana, with the other one being the Telangana cricket team. Hyderabad’s cricket team has won twice in the Ranji Trophy, and were runners up for three times. They also made one apperance in the Irani Trophy. Aside from the two main sports mentioned, Hyderabadis also indulge in other sports. This is made evident by the number of stadiums erected in the city across the years. The first stadium built was the Fateh Maidan stadium, later renamed lal Bahadur Shastri Stadium. There is also the newer Rajiv Gandhi International Cricket Stadium at Uppal. Both stadiums are built for cricket matches. For hockey and football, there is the G. M. C. Balayugi Athletic Stadium while cyclists can take comfort in the fact that the Velodrome is there. There is also a state-of-the-art venue for those who might want to take up boxing, taekwondo, archery and shooting; all are welcome at Saroornagar Indoor Arena and the University of Hyderabad. For all aquatic sports, there is the Aquatics Complex Stadium which has a holding capacity of 3,000 spectators. The Hussain Sagar Lake is also used for rowing, canoeing, and kayaking. Horse racing is also pretty well-known in Hyderabad and the Hyderabad Race Club attracts jockeys all over the country through the various derbies and events there. It is located at Malakpet and hosts both summer and winter races.